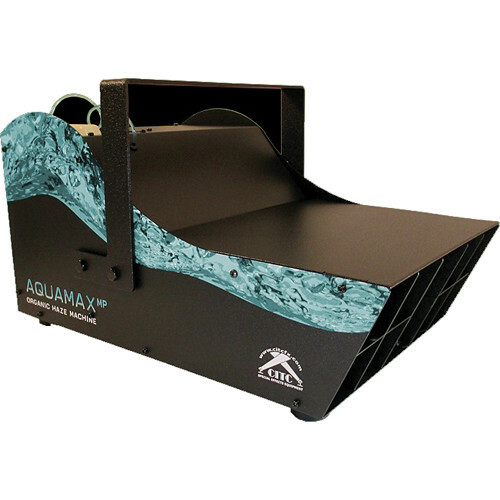 The AquaMax MP from CITC is a professional haze machine that is three times more powerful than its predecessor. It features 2-channel DMX (one for the fans and one for the output), has variable output on DMX, and is quieter. This quiet unit allows for 2-hour, long-lasting, water-based, 100% organic haze to be produced. Cycle-timer = 1 - 30 minutes "on", 1 - 30 minutes "off"
Box Dimensions (LxWxH) 24.18 x 16.9 x 16.6"